On Sunday, December 2, at the age of 88, Don returned home to his Heavenly Father. Don was born in Lamore, ND and at an early age moved to Jamestown, ND. At 18, Don joined the army and served in WWII in the First Infantry Division as a Platoon Sgt. He was combat wounded Feb 2, 1945, during the battle of the bulge, awarding him the Purple Heart. He was also awarded the Bronze Star Medal and the Combat Infantry Badge. After a 3 month recovery in England, he returned to Germany where his unit provided security for the war trials in Nurenburg. Don was also a Special Investigator for the Provost Marshal's Office. He returned home in 1946, met and married the love of his life, Magdalena Gieszler. He was called back to duty during the Korean Conflict and served in the 7th division. 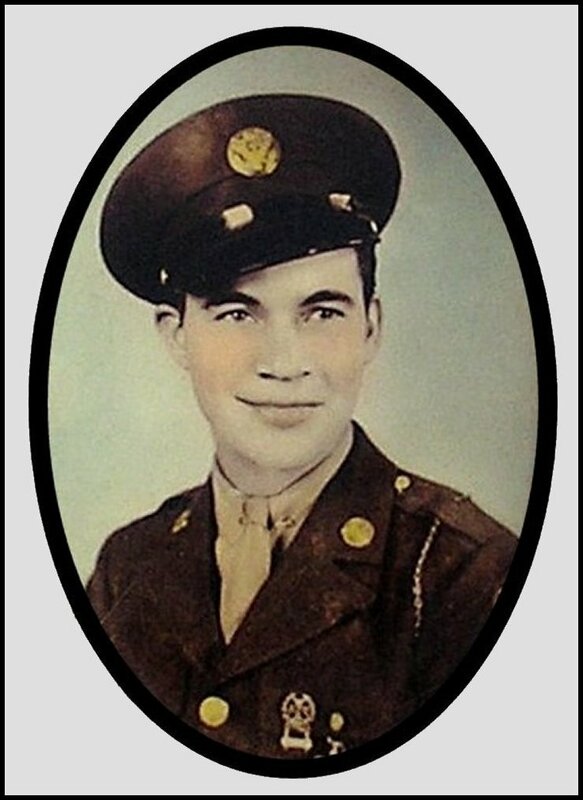 He was awarded the Oak Leaf Cluster to the Bronze Star Medal and his 2nd award of combat. Don returned home and with 3 kids, (David, Katherine and Gregory) in tow, he and his wife moved to Lodi, Ca. Don co-owned Flaherty Brothers Body Shop until 1965 and after that worked 23 years in insurance claims and retired in 1986. Don enjoyed many years of camping, fishing and hunting with family and friends. He preceded in death by his parents, 8 siblings and sons, David and Gregory. He is survived by his wife Lena, daughter, Katherine, daughter in-law, Deborah, 5 grandchildren and 6 great grandchildren. Friends are invited to visit on Friday, December 7, from Noon until 8 p.m. at Lodi Funeral Home. A chapel service will be held on Saturday, December 8, at 11 a.m. at the funeral home with committal to follow at Lodi Memorial Cemetery. Lodi Funeral Home is assisting the family with arrangements.